Online Ordering is growing 300% faster than dine-in traffic. Don't miss out. Directly add Online Ordering to your website and Facebook page to give your guests more ways to order your food. Customers choose every detail of their meals, reducing errors and improving their satisfaction. Checkout on one simple screen with an option to add a tip. Restaurants that add an online ordering system get 32% more orders than those that only accept orders by phone. 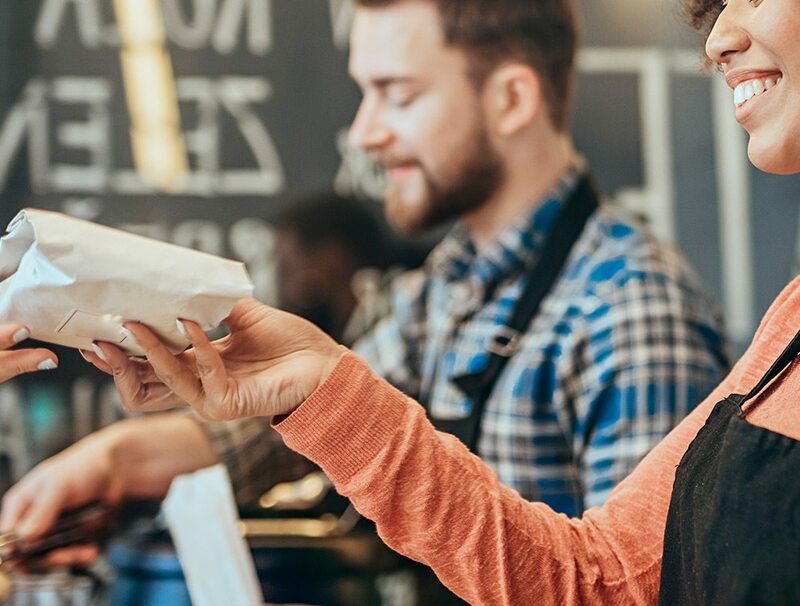 Online ordering adds a new revenue stream for your restaurant, letting you serve more food while giving you the space in your dining room to seat more dine-in guests. 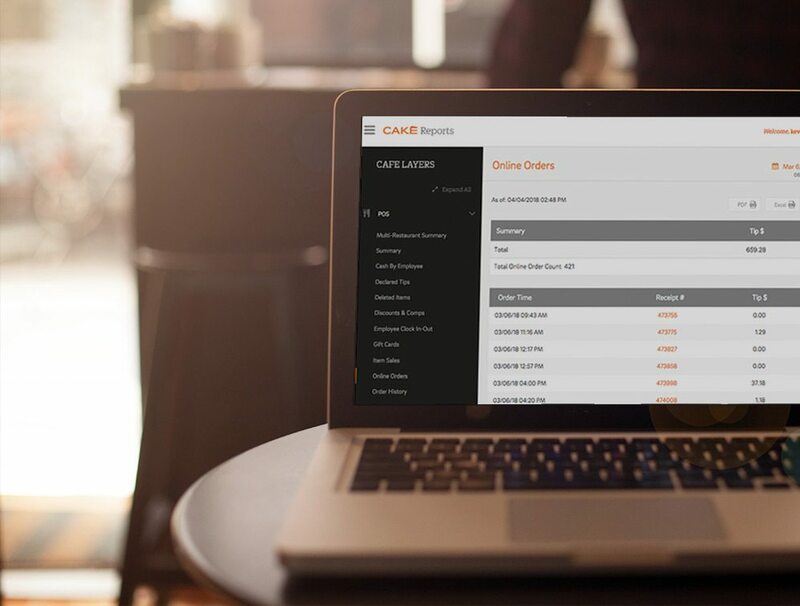 Easily accept orders with one click and send them directly to the kitchen, while accepting payments from the same restaurant ordering system in your CAKE Point of Sale. Track menu items in real time and keep your servers in the know before an item gets 86’d – ensuring your customers get what they ordered without being told you’re out of stock. 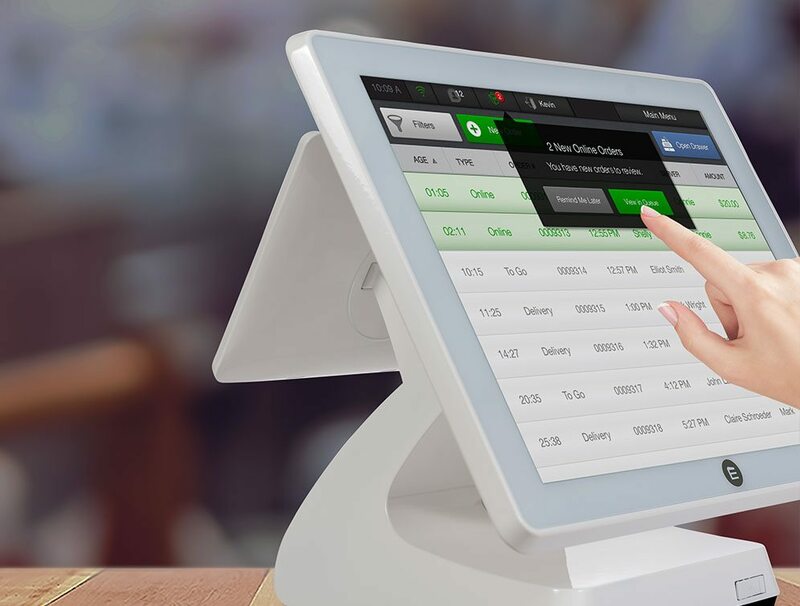 Process payments faster with CAKE Point of Sale, so you can feed more guests without taking more of their time. Get an instant look at the health of your restaurant with dynamic reporting from CAKE. Browse wages, hours worked, sales categories, and more. Access your reports from anywhere, any time and get the information you need to ensure your restaurant succeeds. Compare your dine-in and online order totals, so you know how each method adds to your bottom line, and where you can improve your operations. CAKE Online Ordering eliminates 3rd-party fees and offers an industry-low rate of 5% processing on every order. 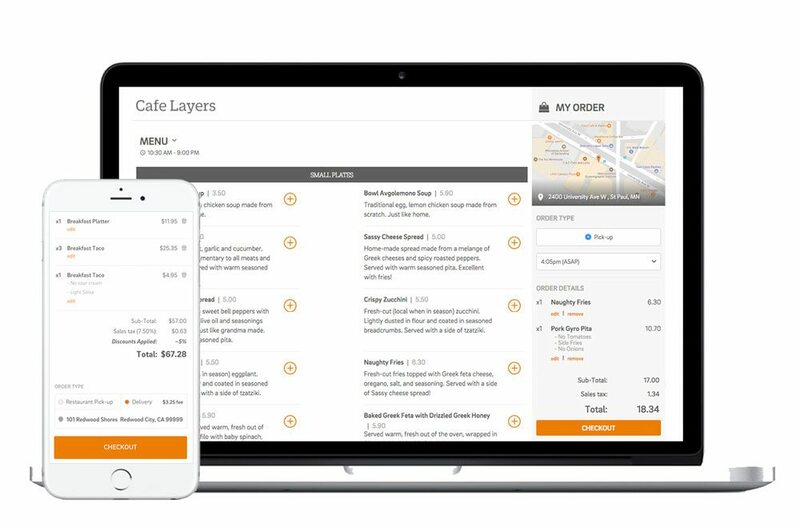 Save your restaurant from paying the 15-20% per order that other online ordering systems charge. "Before CAKE Online Ordering, we were a hidden gem. But now...people anywhere in San Francisco can order our food."